Need help with your publicity campaign? 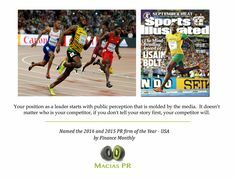 If you have questions regarding your media campaign, you can reach Mark Macias at 646.770.0541 or via email at Mark @ MaciasPR.com. You can read more about MaciasPR by clicking here.